If you owned the home before your marriage and are the only person named on the deed, or if you received the home as part of an inheritance, keeping the home will be easy. It clearly belongs to you. However, most couples purchase a home together and are both named on the deed. In this case, you will need to negotiate with your ex-husband or ex-spouse and determine the best way to move forward. Oftentimes, if you have primary custody of your children, you can make the case that staying in the home will give them more stability and allow them to stay in their current schools. Once it is decided that you will stay in the home, your ex may not be exactly feeling generous enough to just pack his bags and sign over the deed to you. He will likely expect you to buy him out of his share of the house. A buy-out can work in a variety of ways, depending on your specific situation and how well you and your spouse can negotiate together during the divorce process. Usually, the buy-out is included in your divorce settlement. First, you’ll need to determine the value of your home so you have an idea of how much you will need to pay your spouse. This may be as simple as looking up the home’s value on a real estate website, like Zillow.com and agreeing on a price. These websites are not always completely accurate, so you may want to ask a real estate agent what they think, or shell out a few hundred dollars to have a professional estimate completed. If you and your spouse cannot agree on a value, you may need to bring the matter to court and let a judge decide. Some states allow you to deduct part or all of a standard broker’s fee from the buying price of the home, since you will have to pay a full broker’s fee if you should ever sell the home. Check with your divorce attorney to see if this is allowed in your state. Another thing to consider is the current state of the house. Does the roof desperately need to be replaced, or have you been ignoring the need to replace old, run-down appliances? If there is some serious upkeep needed pronto on the house, you should try to negotiate a lower buying price with your spouse. If possible, get quotes for repairs or new appliances, and see if you can deduct that from your ex-husband’s selling price. Coming up with the money to buy out your ex-husband’s share of the home may be difficult (though we’ll discuss how to do that in the next section of this article). If you have trouble raising the money and are entitled to spousal support, you may be able to exchange future spousal support payments for a lower buy-out price. This will require your ex-husband’s consent, but he may consider it a benefit not to be on the hook for future spousal support payments. 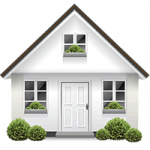 Make sure you do a title search before you agree to the buy-out to see if there are any liens on the home. You don’t want any surprises once the home is yours! 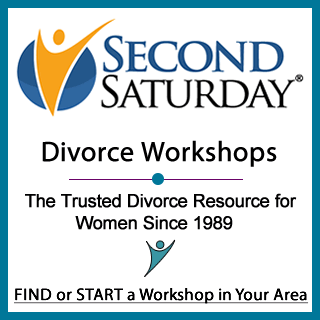 Have more divorce questions? Well, we have more answers for you in our divorce article archive! What if I am the lower earning spouse and probably wouldn’t qualify for a mortgage to keep the house? I’m assuming I will be eligible for alimony (15 year marriage – big disparity in income). Would a mortgage company use alimony as income. I’m assuming it would. If not, do you have suggestions for other ways to negotiate so I can keep the house? Each mortgage company is different, but many will count alimony income if you have been receiving it for at least six months and it will continue for at least three years. You could see if he is willing to keep the existing mortgage in place so that you don’t have to refinance. What if my husband bought the house in his name just before we were married 22 years ago, which was because of an income ratio requirement to buy in a measure J complex? Do I have any hope of being entitled to half the value of the home in a divorce settlement? Or in a legal separation? Our mortgage is nearly paid off. Each state has different laws regarding how the marital home is treated. Please ask an attorney familiar with the laws of your state what happens where you live. We got married 3 years ago and we never stayed together as we work in different cities and we have no kids togther. Will she have a claim if I decide to buy a house now? We already have an understanding we will be filing for a divorce soon. We have never lived together as husband and wife except for visiting. In most states it doesn’t matter whether you lived together, but in some states it does matter whether the house became the marital home. Check with an attorney familiar with the laws in your state. My husband has approached me about filing for a dissolution. We’ve been married for 6 years and have 2 children. He came here on a fiance visa from abroad and has gone behind my back to apply for his US citizenship. At the time I purchased our home, I placed his name on the deed because I wanted to acknowledge the importance of us being equal in this marriage. The loan is solely in my name because I had established credit. He wants half the equity of our home. Is he entitled to it? Only in 2015 through now has he been paying half of the mortgage payment. As for the equity of the home; we purchased the home with full intentions of this being our only residence. My children are going to inherit the home. They would be the ones receiving the equity. I want to go to counseling and he refuses. Over the years he did keep contact with a former love interest from his homeland and I suspect he will bring her or someone else here. Please advise. Thank you! The laws of each state are different, so ask these question of an attorney familiar with the laws of your state. I acknowledge your comment, and I beg to differ. “The worst” would be if I made up information about how things worked in your state without any knowledge of the facts. That would be irresponsible, since I’m not an attorney and I don’t know the laws of each of the 51 jurisdictions in the US. In most states, the spouses have a duty to support each other, so I doubt he can simply kick you out with nothing and nowhere to go. You have legal rights. Talk to an attorney about how this would work under the laws of your state. Each state makes its own laws. I am going through divorce and I am on disability. Is it passible to be able to keep the house? Yes, talk to your attorney about what you might expect as a settlement in your divorce and what it would take to keep the house. Then you can decide if it is worth it. I get it, and I understand your frustration. When the answer to the question isn’t dependent on state law, I try to answer it thoroughly. And I’m not an attorney and don’t know the laws of each state, so when it is a legal question, I refuse to make up information that isn’t right. You will always get accurate information here to the best of our abilities, and we won’t make things up when we don’t know. My daughter is divorcing her husband of 3 years. She owned the house for 7 years. He had all the old appliances removed and purchased new ones. He wants to take them all out now. Can he do that? doesn’t he have to replace what he removed. He refuses to let her take over the payments. She should check with her attorney. In many states there is a temporary restraining order on people who are going through divorce that would make this kind of action against court orders and subject to restitution and penalties. Even if her state doesn’t have such restraining orders, I’ll bet there is something that would prevent this kind of action. Hey we have owned the home 2 months I bought it thinking it would help now I’m giving up. We have only been married 4 months. She has a kid and it tough bc I love that child. But anyway I want to keep the house, she can’t afford it anyway. Is it possible to make that happen. She is stubborn saying she isn’t going to leave. In her mind she thinks I will have to pay her alimony lol 4 months haha come on or thinks bc she has a child the judge will make me pay for her to live in the home. She already gets child support from another man that child isn’t my responsibility. Anyway I’m dealing with a dummy that wants a free ride. She is pissed off bc we found out I have a zero sperm count. What can I do?? The laws of each state are different, so you’ll need to consult with an attorney or other divorce professional who is familiar with the laws of your state. If you used your funds from before marriage to buy the house, then the equity will probably be your separate property and you won’t owe her much, if anything. But you may need a court order to get her to leave the home. As for support, it is generally limited in a short-term marriage, but check with someone to find out.